This project gets the groundwork done, providing you with a basic stucture, much like a template. 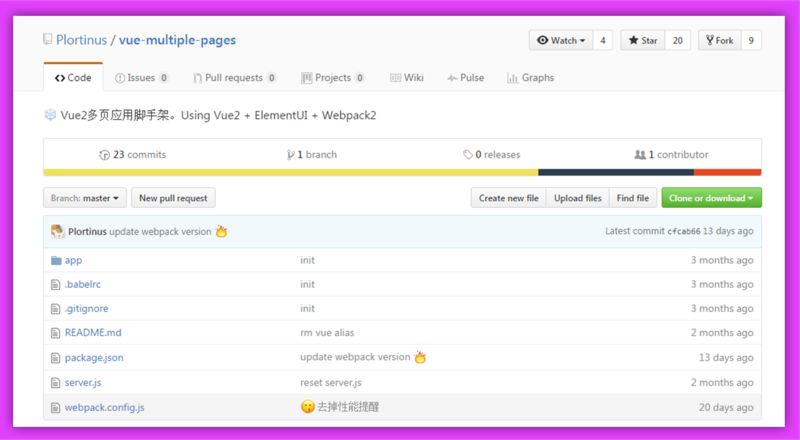 The project is utilizing Vue 2, ElementUI and Webpack2. Take a look at the source code and the project structure on GitHub.